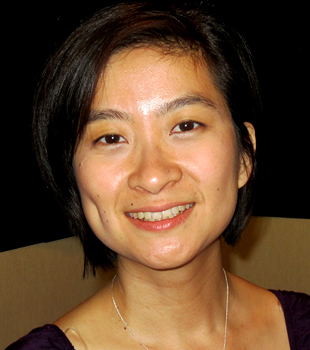 Congratulations to Dr. Jocelyn Sy for being awarded the first Vivien Casagrande Neuroscience Travel Award. Dr. Sy has been awarded this honor based on her research presentation she gave at the Vision Sciences Society meeting earlier this year. Her research in attention and vision has been a vital part of Vanderbilt’s Vision Research since receiving her PhD from the University of California in 2011. While conducting her research here at Vanderbilt, Dr. Sy has worked with several labs including Dr. Tong, Dr. Marois, Dr. Jehee, and Dr. Blake to name a few. With the Vivien Casagrande Neuroscience Travel Award, Dr. Sy is awarded support to attend a conference of her choice, as well as have her name engraved on a plaque displayed in the Department of Psychology. The Vivien Casagrande Neuroscience Travel Award is given in recognition of outstanding research by a graduate student or post-doctoral scholar to support their travel for presenting their research at a conference. This award honors the outstanding scientific achievements of Professor Casagrande and her dedication to the career of young scientists at the graduate and post-doctoral stages of their career. We would like to take this opportunity to congratulate Dr Sy on being named the very first recipient of the Vivien Casagrande Neuroscience Travel Award.